These bracers are the ultimate in forearm defense! They are composed of two layers of 7/8 leather and sandwich a 6x7 inch rectangle of chainmail. That equals 15 oz. 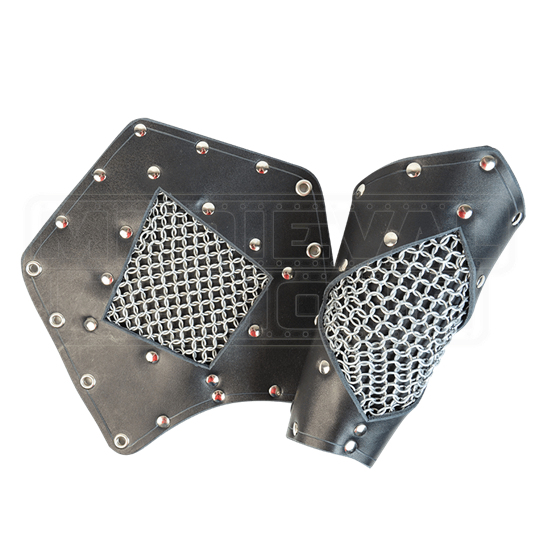 of heavy armor grade leather along with a chainmail reinforcement! 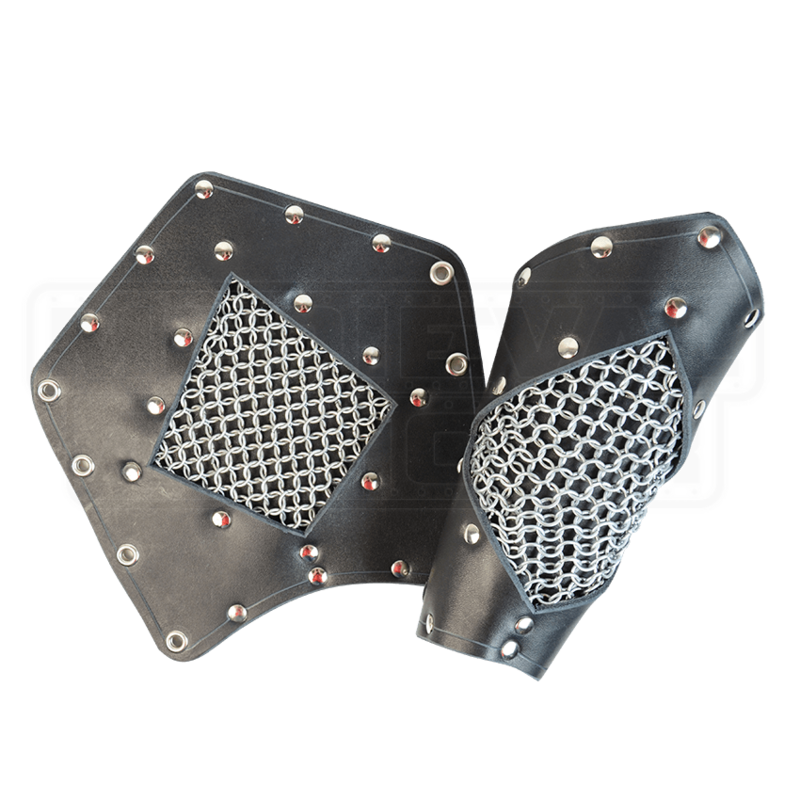 Choose the top bracer color, available in red, green, blue, brown or black. The underlying bracers is black.